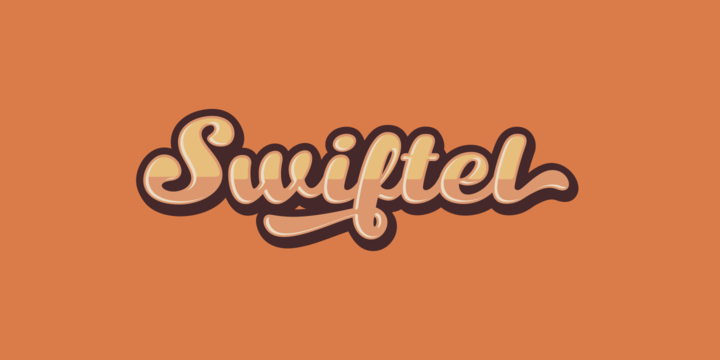 Swiftel is a Layered Script typeface created by Cucu Supriyadi and published by Seventh Imperium which comes in 6 style (Base, Shadow, Shadow Solo, Fill, Outline) and Open Type features.. It merge well on advertising, branding, display, logo, poster, headline etc. A font description published on Wednesday, December 2nd, 2015 in Cucu Supriyadi, Fonts, Seventh Imperium by Alexandra that has 3,514 views.